Rebecca graduated top of her year with a First class LLB (Hons) from Leeds Metropolitan University in 1999. She then completed the Legal Practice Course and qualified as a solicitor with Sunderland-based firm Ben Hoare Bell where she undertook seats in immigration, crime, family and civil litigation. Rebecca joined the School of Law in September 2002. Since then she has taught jurisprudence, intellectual property law and civil litigation, and between 2004 and 2010 was involved in programme management as Course Leader for the Open Learning LL.B law degree. In 2009 Rebecca successfully completed an M(Phil). Rebecca completed a 67,000 word M(Phil) thesis entitled 'Prime Ministerial exercise of the War Prerogative in the Iraq Affair: An Analysis' (supervised by Kevin Kerrigan). The work was a detailed study in British constitutional law, including elements of legal theory. It focused upon the relationship between monarchy and the office of Prime Minister. It considered prime ministerial powers and the operation of constitutional checks and balances in Cabinet, Parliament and the courts in the lead up to the Iraq deployment in March 2003. The thesis was examined at viva stage by Professors Keith Ewing (Kings College, London) and John Alder (Newcastle University) and was awarded an outright pass. 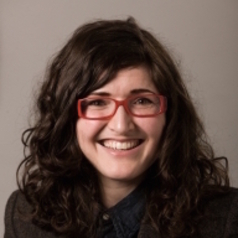 Rebecca also has general research interests in her areas of teaching, jurisprudence and intellectual property law. Her jurisprudential interests tend to centre around critical legal studies, postmodernism and deconstruction. Rebecca's specific research interests within IP include breach of confidence and the Article 8 ECHR privacy right. She also has keen wider reading interests including politics, theory, twentieth century literature and alternative music. Rebecca co-convened a conference entitled ‘Iraq: Legal-Political Legacies’ in January 2016. It was supported by a grant from the Society of Legal Scholars Small Projects & Events Fund. She is developing research entitled ‘Power/knowledge dynamics in the Iraq War’ presented at that conference. Currently also in progress is an article on state surveillance drawn from papers presented at the Law & Society Association (LSA) conference in Minneapolis (May 2014) and the Socio-Legal Scholars Association (SLSA) conference in Warwick (March 2015). In October 2015 Rebecca was appointed co-convenor of the jurisprudence stream of the Society of Legal Scholars. In 2014 Rebecca was involved in a project for the Equality and Human Rights Commission (EHRC), headed by Prof Rhona Smith. The project entailed research to populate the EHRC measurement framework, and will be used as a basis for the organisation’s work. Rebecca undertook relevant research in the area of privacy, including media regulation, misuse of private information, CCTV and surveillance, DNA database and related issues.